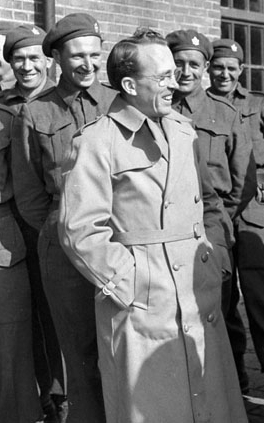 As a follow up to my previous post about the Public Domain Manifesto, I wanted to direct readers to the controversy over the release of Canada’s intelligence file on Tommy Douglas. Douglas, as many Canadians will remember, was a prominent social democratic politician, former premier of Saskatchewan, long-time Member of Parliament, and leader of the federal New Democratic Party. He is popularly known as the “father” of Canada’s public health insurance system. What most Canadians probably don’t know is that the Canadian government secretly kept Douglas under surveillance through the RCMP Security Service for more than thirty years. It may seem extraordinary that our democracy tolerated secret state surveillance of a publicly elected official for more than three decades, but it is spectacularly audacious of the Canadian Security Intelligence Service to attempt to block public access to the crucial documents necessary for understanding this part of our history. Nothing could threaten Canadian democracy more than preventing Canadians from knowing about this part of our past and limiting our capacity to prevent the re-emergence of such anti-democratic policies in the future.